Statistical inference carries great significance in model building from both the theoretical and the applications points of view. Its applications to engineering and economic systems, financial economics, and the biological and medical sciences have made statistical inference for stochastic processes a well-recognized and important branch of statistics and probability. The class of semimartingales includes a large class of stochastic processes, including diffusion type processes, point processes, and diffusion type processes with jumps, widely used for stochastic modeling. 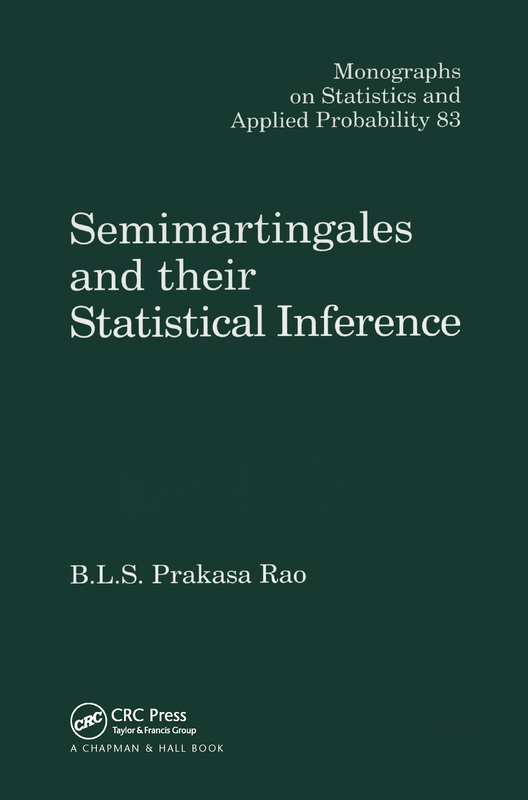 Until now, however, researchers have had no single reference that collected the research conducted on the asymptotic theory for semimartingales. The author addresses a number of stochastic modeling applications from engineering, economic systems, financial economics, and medical sciences. He also includes some of the new and challenging statistical and probabilistic problems facing today's active researchers working in the area of inference for stochastic processes.